Polarimeter models from Rudolph Research for chemical, sugar, pharmaceutical, cosmetics, essential oils, education, and university laboratories. The AUTOPOL VI Automatic Polarimeter is Rudolph’s top of the line six wavelength polarimeter specifically designed for the most demanding analytical laboratories. The built in Ethernet port allows saving data directly to your network server and printing to a network printer. The USB ports allow printing to a printer that has Windows® drivers. 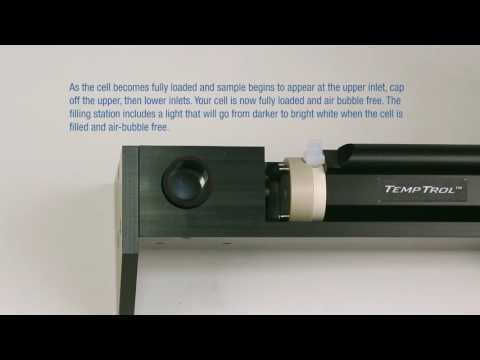 This unit comes standard with six wavelengths, TempTrol™ NIST traceable standard, TempTrol™ sample cell, TempTrol™ temperature validation cell and IQOQ (Installation Quality, Operation Quality) documentation. AUTOPOL VI Polarimeter. Designed for demanding analytical laboratories. The AUTOPOL V PLUS Automatic Polarimeter is Rudolph’s top of the line six wavelength instrument specifically designed with the input of the world’s largest pharmaceutical companies. This unit comes standard with 21CFR11 software and Rudolph’s Patented TempTrol™ System, which electronically heats and cools the sample to a specified temperature without the use of water circulation.This unit includes all wavelengths necessary to measure 99% of all monographs found in the USP, EP, JP and BP. IQOQ (Installation Quality Operation Quality) documentation is included with the instrument. 6m HCl acid resistance: Silco Steel coating on the chamber temperature transfer surface and a Hastelloy measurement cell with NIST certificate certifying optical path length. Comes with a NIST traceable quartz plate with three rotations: +0.998&deg; Arc, +10.998° Arc, -10.000° Arc. Each rotation has a NIST certificate. The AUTOPOL IV Automatic Polarimeter is available in one, two and six wavelength versions and has a more expensive optical system than the Autopol III. It is the system of choice for research universities, pharmaceutical and fine chemical research departments. This instrument is also excellent for studying recimics and kinetics. Temperature control is accomplished using the patented Rudolph TempTrol™ system. IQOQ documentation is included with the instrument. Designed for use in Pharmaceutical, University, Essential Oil, and related industries. The AUTOPOL III Automatic Polarimeter is Rudolph’s two wavelegnth pharmaceutical and research grade instrument which has a ±0.002 Degrees Optical Rotation accuracy for rotations up to 1° Arc. This polarimeter comes standard with two wavelengths: 589nm and 546nm and will pass an FDA inspection with the appropriate water bath to control temperature or with optional Temptrol™ Electronic Heating and Cooling. IQOQ documentation is included with the instrument. A Dual wavelength Pharmaceutical and Research grade instrument. You cannot successfully inspect a pharmaceutical (such as Ofloxacin) having a Specific Rotation between+1 and ±1 and a 1% concentration, which is quite common for most pharmaceuticals, with an instrument that has an accuracy of ±2.0 in Specific Rotation. The AUTOPOL II Automatic Polarimeter is a general-purpose polarimeter with ±0.01 Degrees Optical Rotation accuracy. This accuracy is applicable for food, university education, many chemical, flavor and fragrance applications, as well as pharmaceutical inspection in some countries. Designed as a general purpose dual wavelength Automatic Polarimeter for budget focused Contract Laboratories, Food Laboratories and College Chemistry Laboratories. The AUTOPOL I Automatic Polarimeter is Rudolph’s single wave length model with an accuracy of ±0.02 Degrees Optical Rotation. This accuracy is fine for food and educational applications where budget is critical but state of the art quality is still important. Suitable for Non-USP or high concentration Pharmaceutical raw materials measurements. 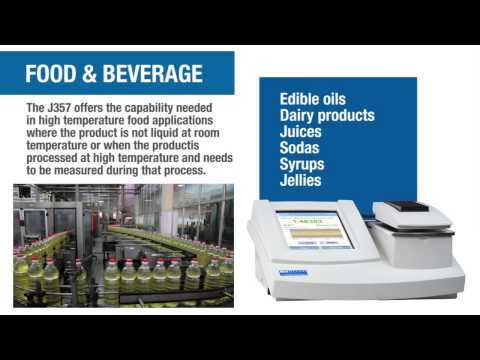 Designed as a single wavelength instrument for Food, Education, certain Pharmaceutical applications and less demanding applications where budget is critical, but quality is still important. ...I have been extremely pleased with the Autopol (Polarimeter) instruments over the years...As expected, our refurbished Autopol II has been reliable and easy to use. I should add that your personal visit to help us set up the instrument was very helpful and illustrated to me that Rudolph Research stands behind its products.